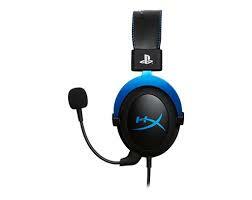 HyperX launched the HyperX Cloud for PlayStation4 (PS4) gaming headset. Officially licensed by Sony Interactive Entertainment LLC, the new headset is designed specifically for PlayStation 4 gamers with complementary PlayStation 4 blue colour accents, and HyperX comfort. The HyperX Cloud for PlayStation 4 is now available at leading online and retail stores at an MRP of INR 9,990 along with a two-year warranty. It is an avid supporter of Esports and the gaming community as it develops products designed specifically for competitive gamers.